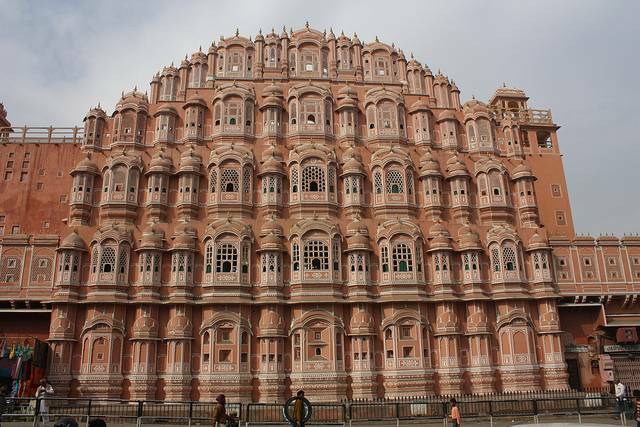 Hawa Mahal palace represents the crown of the Hindu god Krishna. The small lattice windows were originally designed so women could look into the street below without being seen. Built from red and pink sandstone, the Hawa Mahal’s lattice windows are sometimes compared to a beehive; the small sections interlink to form something larger and more beautiful. This palace is one of the most famous sights in Jaipur City.